Certain users who updated Pokemon Go yesterday have found that they have access to a new tracking mechanic. It seems that Niantic is rolling out a test version of the new in-game tracker to random players to see if it works in the wild. All the changes are in update 1.30 for the app. 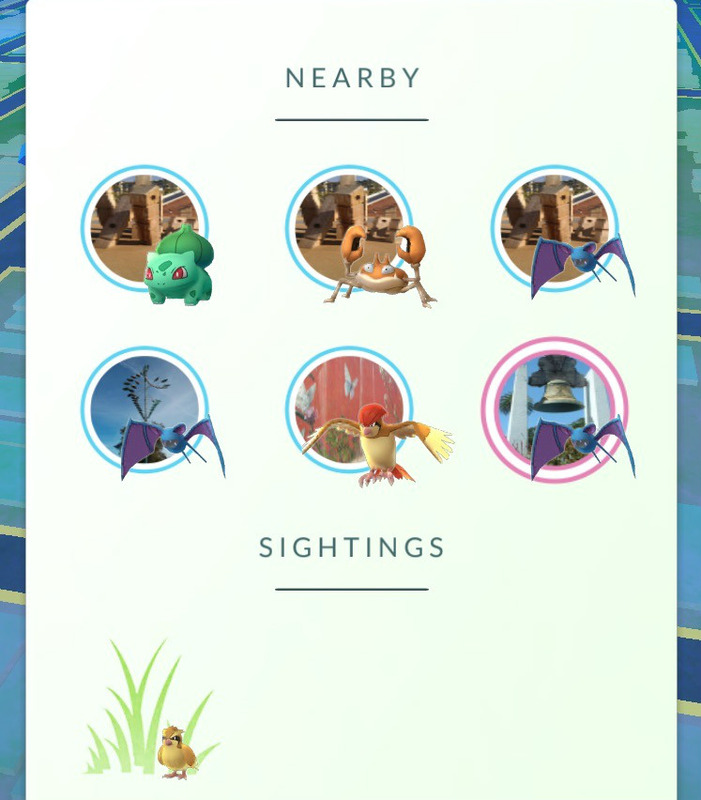 The redesigned tracker is built around PokeStops now. The new Nearby list shows Pokemon that are around certain PokeStops. Clicking on a specific Pokemon moves the map into a top-down view, showing you which Stop the Pokemon is nearby with a marker. PokeStops themselves seem to have a tracking radius similar to the player. The new mechanic seems to be far more direct than the previous step implementation. Under the Nearby section is the Sightings list. These are Pokemon that are not near a PokeStop, meaning you have to wander to find them. There is currently no distance tracker, so you have to guess in that regard, but fans on Reddit have already come up with a method to triangulate a Pokemon's location. Niantic also fixed a bug where Pokemon that had despawn remained in your Nearby list. Now when a Pokemon disappears, it's removed from the Nearby and Sightings lists. If you're tracking a Pokemon and it despawns, the game now has a notification to let you know that. It's great fix... if you live in a city. It doesn't particularly help people in rural areas without a ton of PokeStops nearby. We're a step closer though. With this change, Niantic can alleviate the issue for rural players by simply adding a ton more PokeStops in their areas. The company is currently not letting players submit new Stops, but here's hoping that on their future radar. Tagged with Android Devices,	iPads,	iPhones,	News,	Niantic,	The Pokemon Company.